PSV hold the advantage in their Champions League play-off following a thrilling 3-2 victory at BATE that was sealed by an 89th-minute header from substitute Donyell Malen. PAOK held Benfica to a 1-1 draw in Lisbon while the first leg between Red Star Belgrade and Red Bull Salzburg ended goalless in Serbia as they battle to secure a place in the group stage of the competition. BATE took a surprise lead in just the ninth minute of Tuesday's tie at Borisov Arena when Jasse Tuominen turned a low cross from Aleksandar Filipovic through the legs of Netherlands goalkeeper Jeroen Zoet. The Eredivisie side were level before the break when referee Felix Zwayer gave a penalty for a handball by Nemanja Milunovic, Gaston Pereiro drilling home the penalty despite Denis Scherbitski diving the right way. 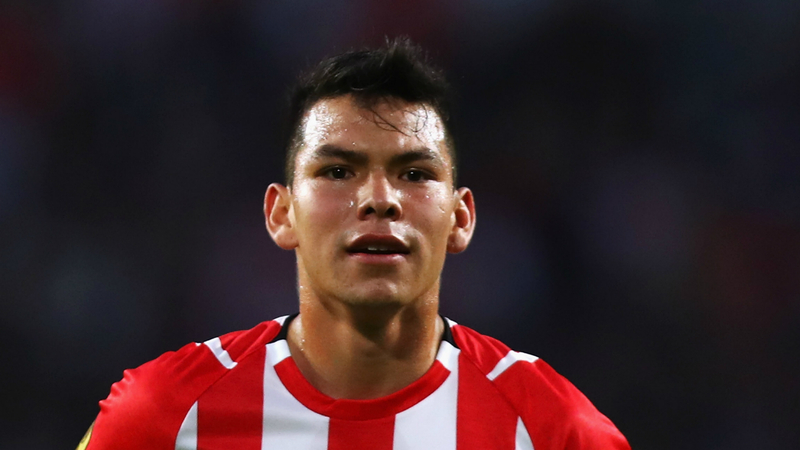 And the comeback was seemingly complete in the 62nd minute, Hirving Lozano collecting a pass from captain Luuk de Jong and bending home a delightful curling effort from 25 yards. BATE had other ideas, however, 37-year-old Alyaksandr Hleb firing in a volley in the 88th minute that looked certain to have left the match finely balanced ahead of next week's concluding leg. But PSV decisively retook the lead just a minute later to spark joyous celebrations, Malen rising highest in the box to crash a header from Angelino's cross past a helpless Scherbitski. Pizzi's penalty in first-half stoppage time at the Estadio da Luz gave Benfica the lead against PAOK, but the Greek side scored a potentially vital away goal in the 76th minute through Amr Warda. And Red Star Belgrade have a tough task to reach the group stage of the Champions League for the first time after they failed to break down Red Bull Salzburg in their home leg.